In a way, you could say that Malick Sidibé was the ultimate nightlife and street life photographer. His images of a postcolonial Africa – namely in Bamako (the capital of Mali) – captured a zeitgeist full of joie de vivre and desperate to reclaim its identity after French rule. Some of his most iconic images were taken at concerts and youth clubs, like the Christmas Eve, Happy Club. It was in this club where one his most famous images was taken: a couple dressed to the nines, dancing barefoot under the night sky. Indeed, his images ooze with a delicious sense of style and swagger. At eighty years of age, Sidibé has put his camera down, but has recently teamed up with Boston-based designer Zainab Sumu for a limited edition mens and womens t-shirt collection. It is the photographer’s first ever collaboration. Sumu, who started her brand Primitive Modern just last fall, has chosen four photographs from Sidibé’s extensive archive from the 60s and 70s to place on t-shirts printed with designs using indigenous Malian printing techniques. The collection of tees, in an edition of 140, is a natural evolution from the designer’s capsule collection of silk scarves inspired by artisanal Northern and West African dyeing techniques. 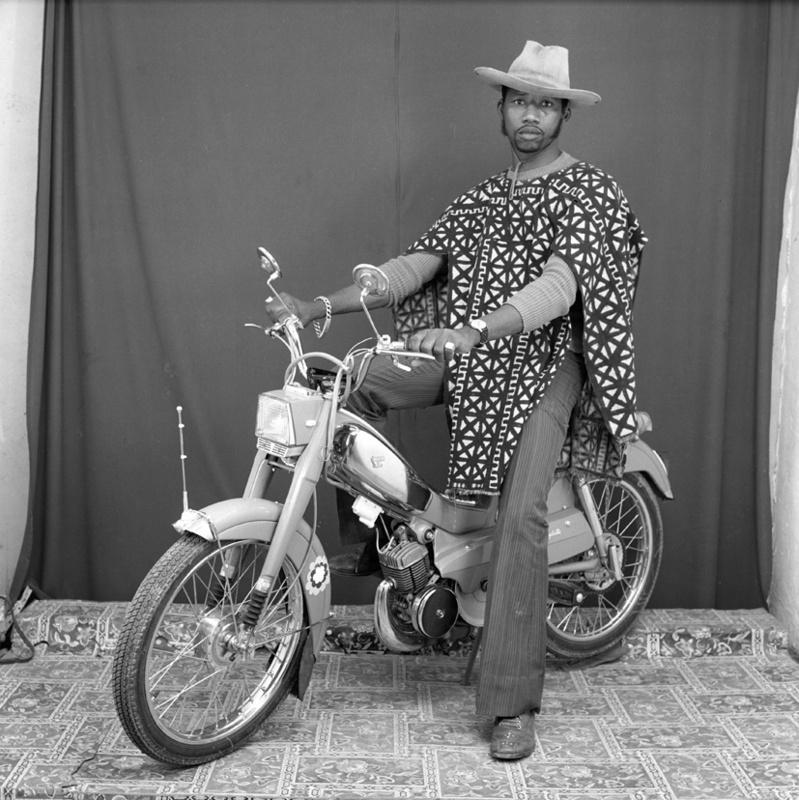 Autre was lucky enough to ask the legendary Malick Sidibé some questions, through his son Karim, about his collaboration with Zainab Sumu and what the photographer’s archive says about the future of Africa. How did you team up with Zainab Sumu? We have always been on the lookout for interesting partners who first and foremost appreciate the work of my father. In Zainab we found someone not only passionate about his work aesthetic (which of course is so important), but we especially appreciated this quest she’s on in regards to helping strengthen the economic situation for us in Mali. She’s all about a positive representation of Africa and that was a vital part of my Dad’s legacy. What was the collaboration process like? The collaboration was most definitely a collaborative effort between Mody (my older brother) and Zainab. When we initially discussed the project she had very clearly pinpointed select images from the archive that reflected my Dad’s sense of fun and beauty and style, you could say. I remember Zainab making a lot of notes when she visited the studio in Bamako in 2015. You are a major representative for Africa, and you have become a major part of dissolving a lot of myths about Africa's place in the world, what is the current atmosphere like and what would you like people to know about Africa in the 21st century? Dad’s photographs were taken in post-colonial Mali, when self-expression was vital and raw and fresh, a response to the political regime. So most certainly Dad was lucky to have captured images during such a pivotal time in our country’s history. 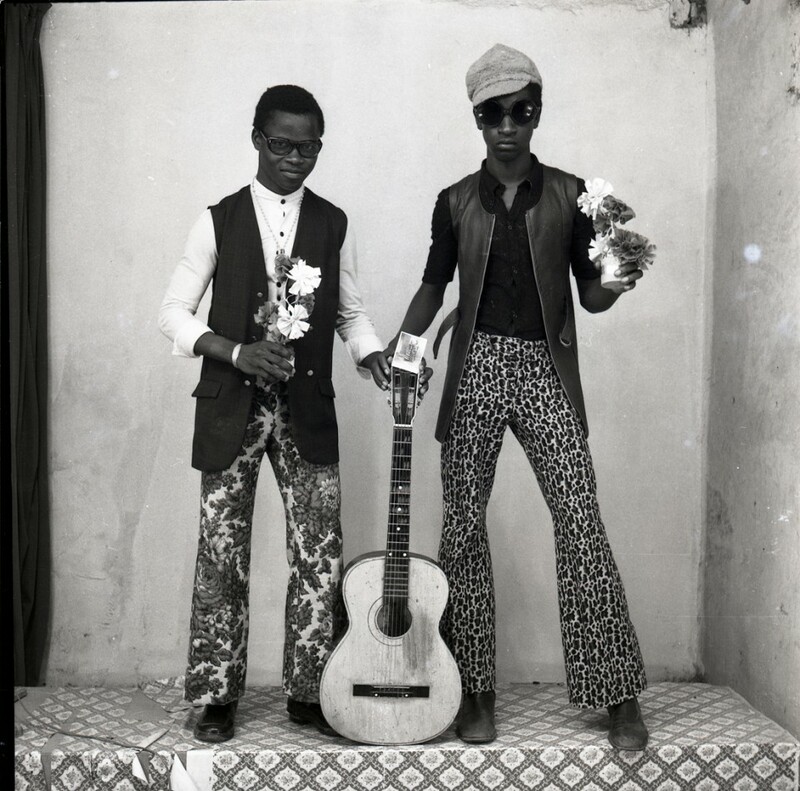 When many people think of African portraiture they immediately think of Malick Sidibé. His work was always about embracing individuality and essentially, during that time young people had a reason to be rebellious. What do your father’s images say about the future of Mali and Africa? In a way those images from his archive all represent hope for a better day. Today the people of Africa continue to be hopeful yet there is an overwhelming sense of disillusionment among our communities. We’re trying to change that. Do you want to continue collaborating with younger artists? We try to stay open-minded but it’s very much an instinctive connection for us and we try to guard our father’s legacy with great care. By producing these t-shirts with my father’s photographs, it is way for everyone have to access to art. Importantly, also, it’s about presenting these works as a kind of object d’art, therefore my father’s work can be seen not just on the walls of museum’s or galleries but also on the bodies of many from the next generation.